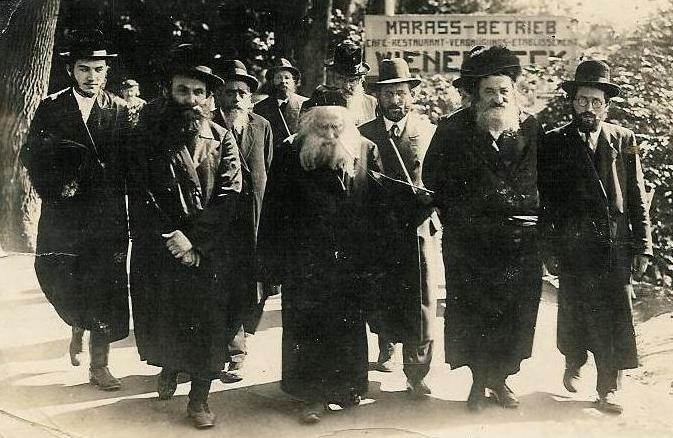 Ger Hasidic leader Rabbi Avraham Mordechai Alter, known as the Imrei Emes, speaker of truth, and followers, Poland before the war. Friday night, several years ago, The Nożyk Synagogue, Synagoga Nożyków, the only surviving prewar Jewish house of prayer in Warsaw, Poland. Prayers are concluded and the rabbi asks in English, Hebrew and Polish, if there is anyone who does not have a place for Friday night Shabbat dinner. I do not respond, I do not want to impose on anyone. I have some food in my hotel room. The rabbi notices me, can see that I am not a local, and tells me he has a place for me to eat. The owner of the local Kosher Delight restaurant comes over to me and says, "You will eat at my restaurant, I am eating at home with my family, but you and all those who have no other plans will eat at my restaurant. Everything is ready, there will be no charge." I try to refuse but he will not hear of this. And he reminds me, there will be no charge, no payments. I look at the man, he is a reminder of what once existed in Warsaw before the war; dressed in his Hasidic outfit, with his fur hat and long black coat he is the defiance of what the Nazis wanted. The Jewish people still lives, despite it all, despite it all. He tells me I will eat there tomorrow as well. I do not recall if I even thanked him. And so Friday night, Warsaw, Poland, with a small group of other Jews from Israel, we dine. All the Jews there are from the group of Gerer Hasidim, before the war a great rabbinic dynasty and once again after the war, recovered. Now they have many members in Israel and in the USA. They wear the same outfits as before the war, they speak in Yiddish. Can this be? Poland, Warsaw, Shabbat dinner with remnants of a once great Jewish community? and I wonder, the things I have been privileged to see in this lifetime. Soon songs of the Gerer Hasidim fill the air and I mention that my dear friend in America is descended from this group. They know of his late father, a great man who did much to rebuild the shattered community. We are all connected. We discuss Talmud and Jewish tradition and I think of what once was. I walk out in the night, we say goodbye, Gut Shabbes, and I walk to the hotel. I imagine the scene before the war when 400,000 Jews lived here but now I walk alone with the memories. Later on my friend and host Tomasz makes a remark that at first confuses me. As we met a group of Jews from South Africa and Australia he saw me chatting with them as old friends. He asked if I knew them. But of course I had not. He was confused. I explained that no matter where I am I can walk up to a fellow Jew and say Hello. We are family and we can count on each other. To him it made no sense, and at that moment he enlightened me. Chicago airport, a couple of years later. A Jew dressed in traditional Hasidic garb approaches me. He explains that he has been hurt and needs help. I bend over and tie his shoes for him. I open his medicine (he had his hands bandaged and could not do these things himself, but the TSA showed no mercy). I put his medicine in his hand and bring his drink to his mouth. and no, we had never met before. He nods his head and walks away. That is what community means, that is what it feels like when you are part of a community. And Moshe gathered the people....(Exodus, chapter 35, 1). Moshe gathered the people of Israel and formed them into a community. And he told them these are the things which God has commanded you to do. And 3,300 years later I am in Warsaw and a fellow Jew invites me for free to his restaurant because we are community. And in Chicago a Jew in need asks me to tie his shoes and feed him, because we are community. And a stranger in Poland is my friend whom I can approach because Moses told us, these are the things which God has commanded you. And suddenly last night, as I lie sleepless in my bed here in Israel, I saw that scene in Poland, that Gerer Hasid, and I said "Who is like thy nation Israel?" (Chronicles book One), how fortunate we are. When we care about each other we create a community. When we care about our community we create what is known as a "good neighborhood" where there are no drugs, and no crime and no homelessness. And others look at us and say, I wish I lived in a good neighborhood. And how do I explain how to create a good neighborhood? How do I explain that it is in your own hands? That it begins with caring about the community, about picking up trash from the floor, about saying hello to a neighbor, about parking straight as to leave space for another person's car? 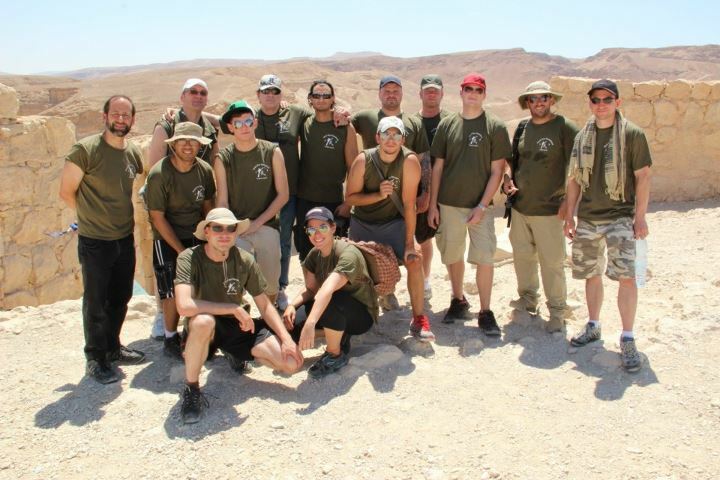 Join us in Israel, train in Krav Maga and absorb our traditions and history. Become part of an international camaraderie of Krav Maga instructors and students.